Being an integral part of a client’s decision-making process and ultimate success, personally and financially. As long-term, value-oriented investors, the single biggest challenge we face is maintaining discipline, confidence and patience during extended bear or bull markets. The culture. We have over 180 talented, hard-working people who are also humble and decent. The highest level of care for our clients permeates everything we do. Organizing, analyzing and interpreting information to successfully manage our clients’ portfolios. As an integral and inseparable part of their lives. Wealth bestows significant rights, but also carries additional obligations. There are trade-offs. I would still be with my previous employer — Grantham, Mayo, Van Otterloo. I only left GMO in order to become part of the exceptional investment team at Aspiriant. I’ve helped several people better themselves through education. Seeing what they’ve accomplished has been a gift. It’s the one thing that makes me most proud. As my family can attest, I have taken a hiatus from physical fitness over the past few years. It’s high time that I get back into the gym, which I love doing. John joined Aspiriant in 2013 as Chief Investment Officer. As CIO, John is primarily responsible for leading the firm’s overall Investment Strategy & Research Group, broadly consisting of 12 professionals. The group is responsible for asset allocation, portfolio construction, manager selection and risk management. John also chairs the firm’s Investment Committee and serves on a number of other committees. He has over 20 years of experience in investment management, investment banking, corporate finance advisory and business strategy consulting. 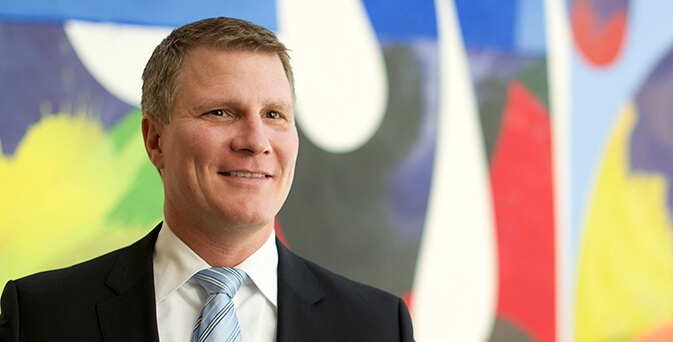 Prior to joining the firm, John was a senior member of the client service team at Grantham, Mayo, Van Otterloo (GMO), which manages approximately $80 billion across a wide-range of public equities, fixed income, hedge funds and asset allocation funds. In that role, John had primary responsibility for 80 clients and $6.5 billion in assets under management. Prior to joining GMO, John was the Head of Investments at a large family office in Los Angeles. There, John had responsibility for managing the firm’s overall investment portfolio as well as its direct investments. Previously, John established his career working in the investment banking department at Donaldson, Lufkin & Jenrette and in the business consulting practice at Stern Stewart & Co. Throughout his career, John has served on the boards of directors of three private companies. John earned a Bachelor of Science degree with high distinction from the Economics Department at the University of Virginia. He holds the Chartered Financial Analyst® (CFA®) designation and the Chartered Alternative Investment Analyst (CAIA) designation. He is also a member of the CFA Institute and CAIA Association. John lives in Los Angeles with his family.